We're back after another slightly longer break, mostly due to a very busy autumn I've been having at work. 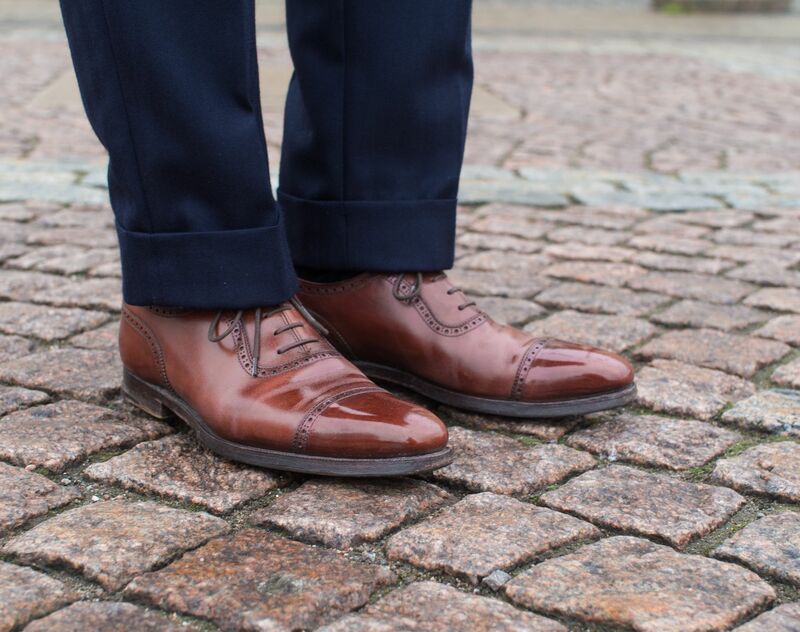 And today we've got a set of pictures from this very weekend, showing off some autumn and winter clothing for the business environment. The suit I'm wearing is a new piece I had made at Vaatturiliike Sauma, a handmade made-to-measure piece with a looser cut for both jacket and trousers. The fabric is also rather interesting, as I actually decided to go for a lot heavier and sturdier cloth this time around. So, it's a 370-380g / m2 brushed wool fabric with a herringbone weave and an almost flannel like appearance, made in Yorkshire by Dugdale Bros & Co. 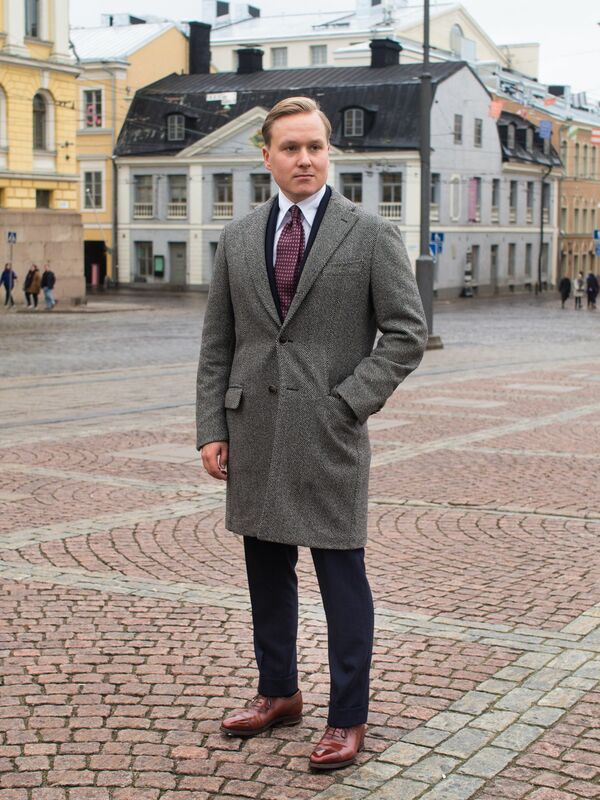 So, the worn pieces include Ring Jacket coat, Vaatturiliike Sauma handmade mtm suit, Vaatturiliike Sauma mtm shirt, Viola Milano tie, Viola Milano pocket square, Drake's London braces, Mazarin socks, Crocket & Jones shoes and Berg & Berg scarf. 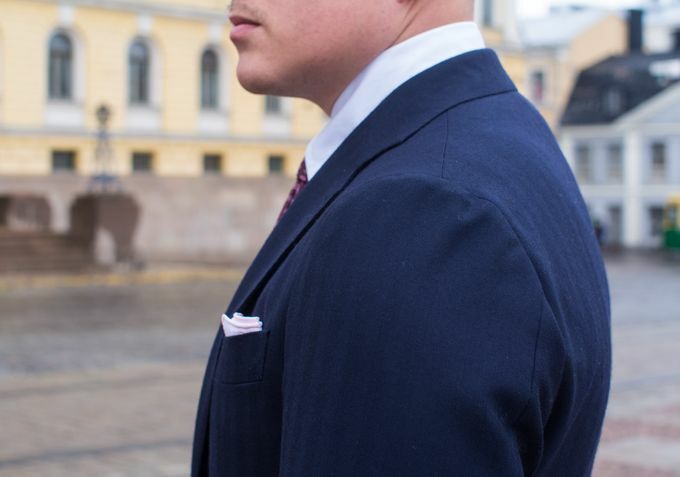 The suit features a lightweight fully-canvassed construction and is unlined from the back. 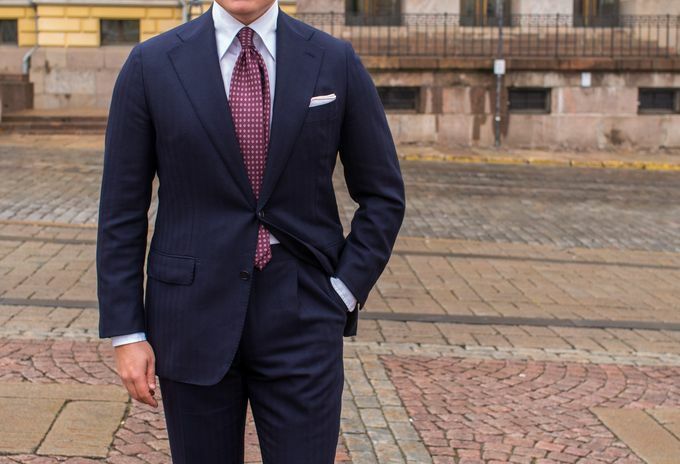 The unlined part is something I've grown to like and is especially great when you're working with heavier fabrics such as this one. 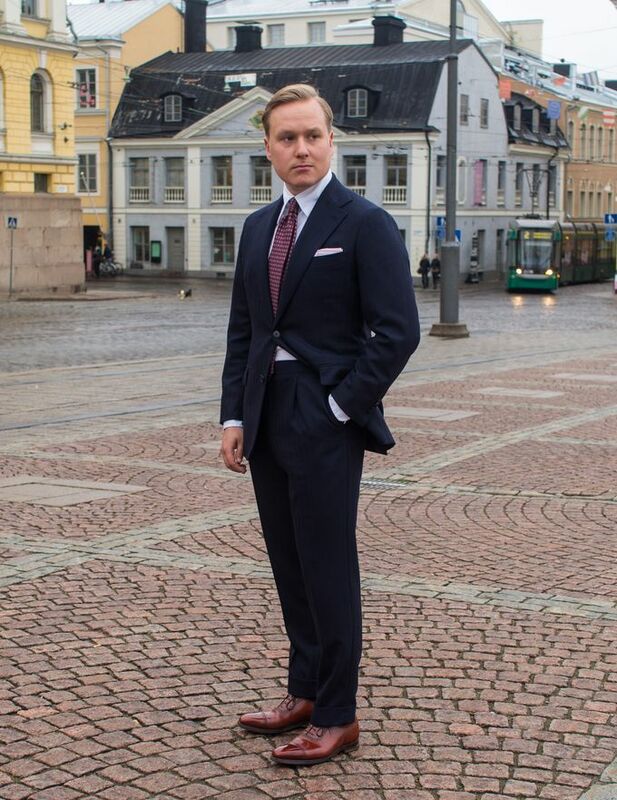 The fit is looser and I also decided to widen my leg and leg opening quite a bit from my previous suits. Furthermore, I went for a classic single pleat trouser instead of the two pleats I've had in my most pieces. 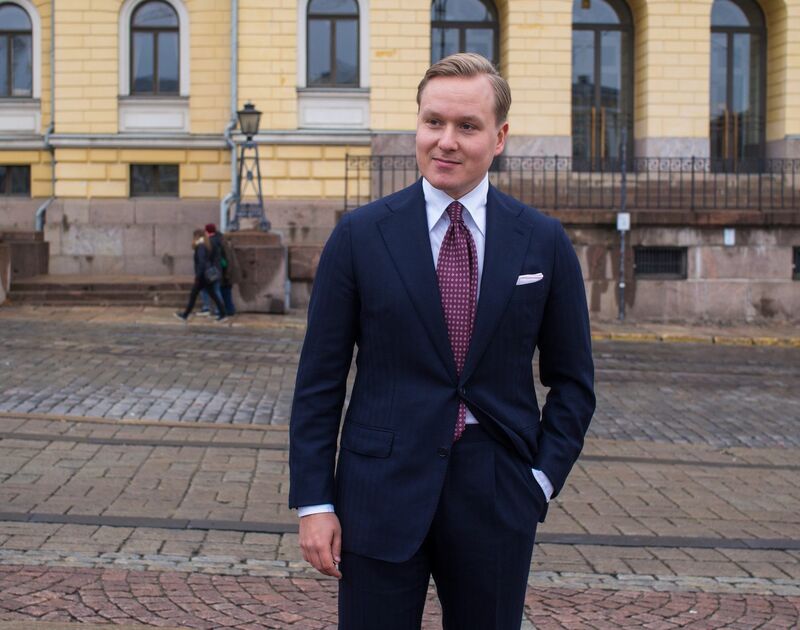 Finally, the suit also features a slightly wider lapel and it's mostly handmade. The dark navy color with a subtle herringbone is one of the true classics. 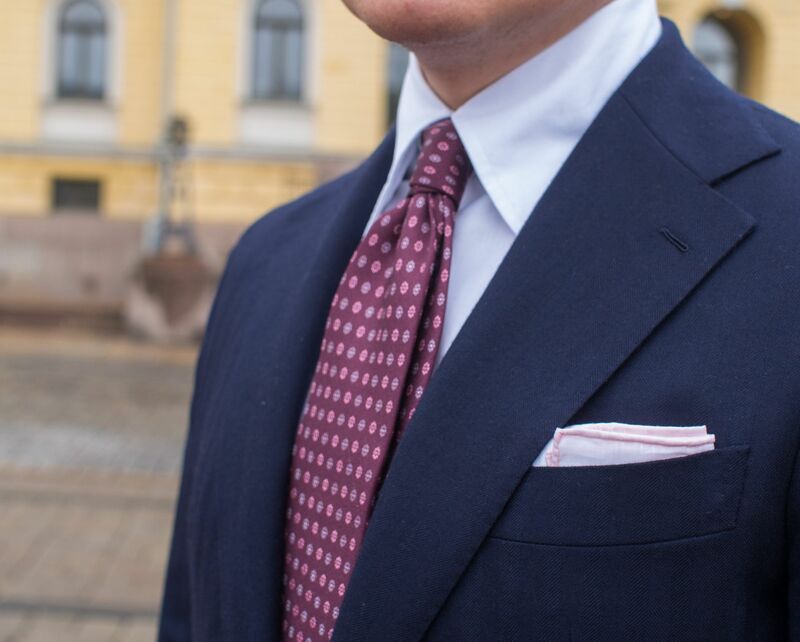 It's also very easily combined with most accessory colors, like the tones of burgundy and pink in these pictures. My chestnut C&J Westbournes are a great pair of shoes, but the color is sometimes a bit too bright for my liking. They do, however, work quite nicely with a heavier navy suit. 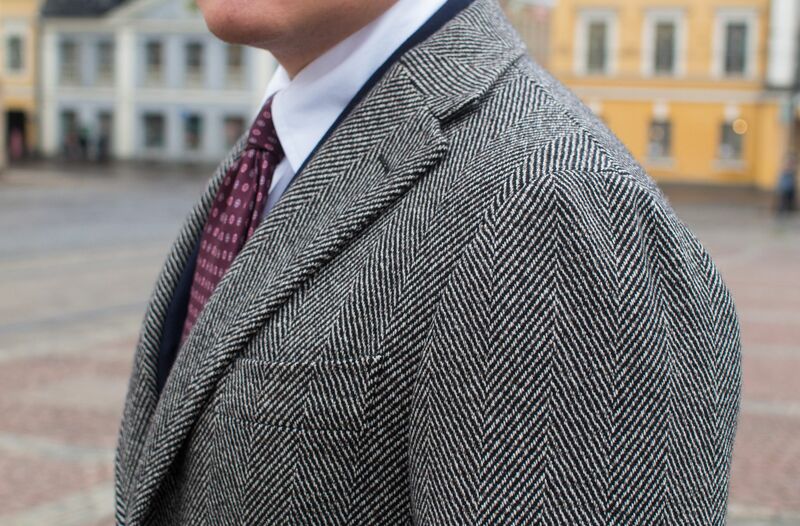 Finally, a sneak peek at my Ring Jacket Chesterfield coat with the sweetest of shoulders. I'll be writing a separate text on this when I have a bit more time. Lots of other articles are also on the way and I hope to resume the weekly posts again soon. Also, even if I've been a bit inactive with the blog, things are going well on my Instagram feed (that you can also follow from the site if you don't have Instagram).